The Widow’s Pension Files often offer us the opportunity to explore the wider Irish emigrant experience through the lense of a single family. Such is the case with Private Thomas Delaney of the 19th Pennsylvania Cavalry. 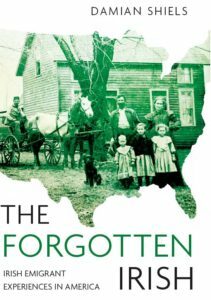 His family’s story allows us to travel with them, as they journeyed from the coalfields of pre-Famine Laois to the coalfields of 1850s Schuylkill County, Pennsylvania. It allows us to follow them through the ups and downs of their personal narrative, even as the township where they lived played centre stage to a wider national narrative of labour organisation, draft resistance and the rise of the Molly Maguires. Ultimately, it ends by taking us from the Pennsylvania Coal Region to a hospital bed in Illinois, as a father hears news from his son. I now think it near time that I would let you hear from me and how I am. I am here in the hospital with me feet pretty badly frozen, other ways my health is good and I trust in God these few lines will find you in the enjoyment of good health. Let me know how the times are and how you are getting along, let me know if the work is brisk or not and if it is steady. Let me know when you heard from Dennis how he is getting along. 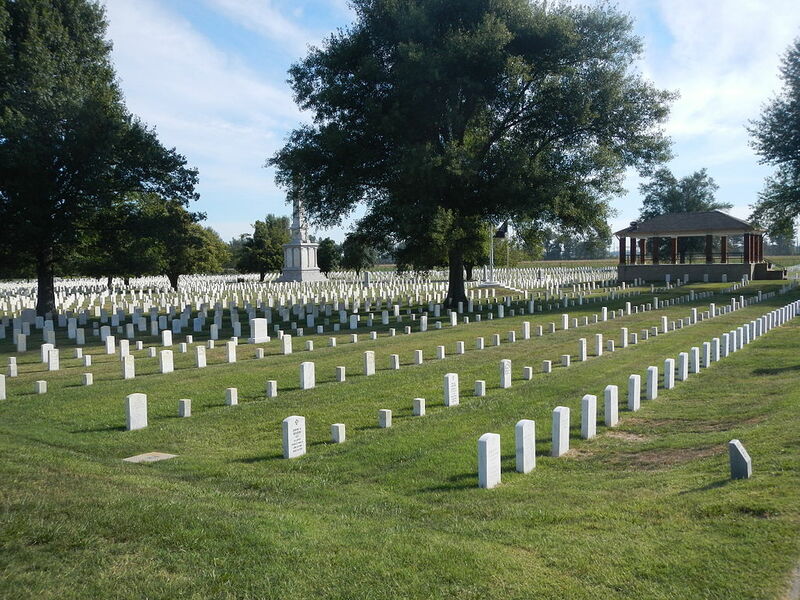 We had pretty bad times of it down here and there was a great [number] of the soldiers badly frozen one man of our regiment was froze to death. The Regt has now started on an expedition which is to do some thing great. let me know how is Catherine and Patrick and James Given them my best love and I want you to send me Katys likeness. I dont know what they will do with me here as yet they may discharge me or probably send me to the Invalid Corps. I have not received any pay yet but I expect it about the middle of next month and when I get it I will send it to you. I want you to write to me as soon as you receive this letter. It is my painful duty to inform you of the death of your son Mr Thomas Delany of the 19th Pa. Cav. which sad event took place in this hospital at four o clock on yesterday afternoon. It must be a great consolation to you to hear that he died a happy and a holy death. He received all the rites of the church and was fortified by the sacraments in his last moments. He used to speak of you in the most affectionate manner and says it was you that taught him how to say prayers and his catechism. I send you a lock of his hair in memory of him. May his dear soul rest in grace amen. If you write to Dr. H. Wardner the surgeon in charge of Mound City Hospital he will send you his money or any other effects he may have had. Thomas Delaney Widow’s Pension File WC116097. Lewis, Samuel 1837. Topographical Dictionary of Ireland. Murdock, Eugene C. 1971. One Million Men: The Civil War Draft in the North. Schmidt, James M. 2010. Notre Dame and the Civil War: Marching Onward to Victory. Very interesting story. I know you did your research but there seems to be an issue with Mr Lewis and his sense of distance. Rathaspick is actually about 10km north of the Doonane coal works at Newtown and Castlecomer is 10km south Newtown. The discription of the Rathaspick with a rath adjacent to a church would also match with the townland further north. A line between Doonane and Wolfhill marks the NE boundary of the workable Castlecomer coal field that extended almost as far south as Kilkenny City. This was probably the largest exploitable coal field on the island but as far as I know there were never any pits as far north as Rathaspick. Many thanks for the comment- that is interesting. I wonder why Lewis referred to Doonane in reference to being in Rathaspick parish, particularly given the distance you cite. I confess it is not an area I am familiar with, though I do hope to visit the coal heritage of the area this summer. Your query is something I hope to look into further, along with the reason behind so many from the region going to this county in Pennsylvania in the mid 19th century (beyond the obvious connections). Do you know if there was a falling off in the industry in Ireland during this period? I still think it almost certain that the Delaneys were coal miners in Laois, given their subsequent history. Undoubtedly just one of hundreds of families who had a mining heritage on both sides of the Atlantic. I think a may be able to answer some of those questions Doonane/Newtown coal workings are exactly what they say on the tin, a new town built specifically to exploit the coal in the area. There were a number built around this time in the area. I can’t see a church anywhere nearby on the 1st edition Ordinance Survey so it’s possible that the parish, as opposed to the townland, of Rathaspick was absolutely enormous. The land in the area is very poor so I would imagine the population, even pre famine, was very low. As far as I know the northern pits had been completely exploited by the mid 19th century, some of the more southern ones continued in use but eventually the coal field as a whole wasn’t producing enough coal to make it viable so the remaining pits were closed. I agree it makes sense that the Delaneys were coal miners in Ireland before emigrating. Always remember the Irish tradition of a couple marrying in the brides home parish. The groom could have been from Newtown or Wolfhill and been a miner, it’s not that far away, and after marrying they returned to his home before eventually going stateside. Thats fantastic information thanks for that- I suspected maybe it was precipitated by a slow down in Irish production by that date so that’s really interesting to hear. It would be very interesting to try and track some of these families on a community level from Laois/Kilkenny to Pennsylvania (this may have already been done to some extent based on a few references I have seen). You are right re the brides home parish. Catherine’s maiden name was also Delaney so it is possible they were cousins, but it is equally possible that Thomas was from across the border Kilkenny. One of his deponents said that although he had not been at the wedding they had married in Kilkenny, which was incorrect, but I suspect as so many in Schuylkill were from that Kilkenny mining tradition that he was saying it to help with the application. Also I suspect there may be a number of other people who have similar mining stories in the pension files- something I am going to keep an eye out for in the future! I was completely unaware of Cass Township’s history of draft resistance during the war. Yet another element of the “real war” that doesn’t often make it in the history books. That letter from Thomas Jr is really touching too. I wonder if the Katy he mentions was his sweetheart. It is a fascinating piece of history- I have read a bit about the miners here previously and there has been a fair bit of work done on them, but it is something I must explore more. Although I don’t say it in the piece, I think there is a possibility he was actually drafted, but I haven’t been able to confirm it. Re Katy, I was wondering was that his younger sister Catharine, but it may equally be a sweetheart. As with so many of these letters though, it is extremely touching. If you go up to Scranton you can head down in the mines. 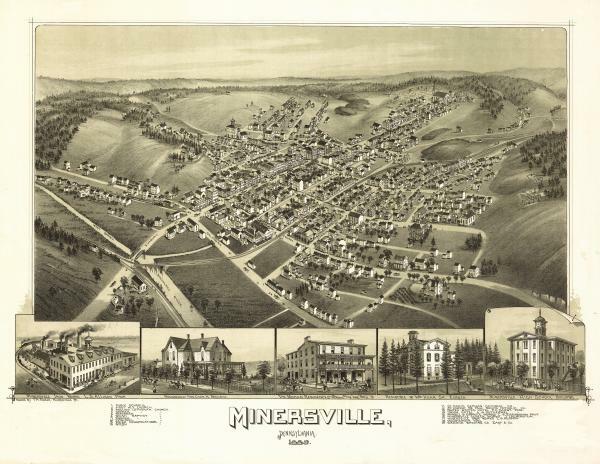 They do a good job of describing the health, safety, and class issues, the importance of the United Mineworkers Union, and the impact on workers of living in a company town. Now that is something I would love to do. I would also like to do a visit to the Marble quarries in Vermont where lots of Irish in this period ended up- you could do quite a nice trip just focusing on this aspect of the emigrant experience! Many thanks for sharing this, I missed it at the time, excellent piece! Almost all of my Irish Ancestors are from the same place in Laois and Kilkenny counties. On my father’s side my gg grandfather, John Dempsey came from Doonane and worked in the mines there. His wife as Ann Daley who was from Clonbrock, only a mile down the road, but in the parish of Arles. Also my gg grandparents Patrick and Catherine Delaney Brennan were from the same place. They settled first in Cass, Reilly and Branch townships. During and after the CW they moved to Centralia. We could be related! On my mother’s side my g grandparents Patrick and Anna Ryan Tierney were from Moneenroe, Clogh Catholic parish, Castlecomer civil parish in Kilkenny. They settled in Girardville. Many thanks for the comment! That is fascinating that they have much the same story as the Delaneys- have you ever been back to these mining areas in Ireland? I hope to visit the area soon. Went over to the Penn State – central Flordia football game and went up to find Doonane. It is on my great great grandfathers tombstone. He went from ireland to Hecksherville Pa and then on to Plymouth Pa near Wilkes-Barre after the Mollys had some excitement. Went to the Doonane Church and saw the Browns in the graveyard and also saw a few above the ground I think are relatives. If you show any Browns in your history i would like to see if there is connection. Interesting reading. .
Tom, My family was from Doonane Parish and Cass Twp as well. 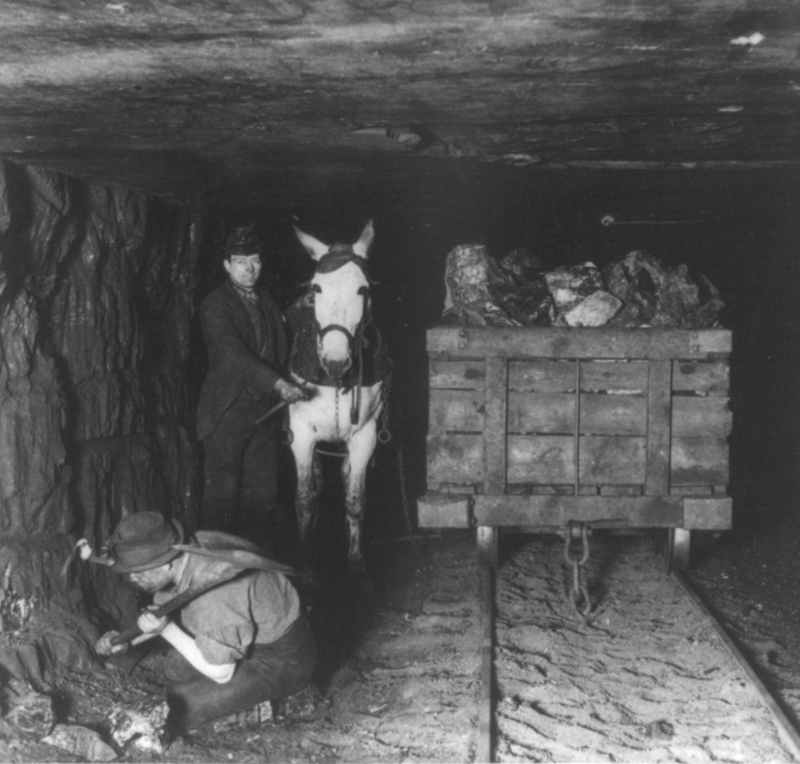 They moved to Plymouth Pa and mined there. I see you mention Centrailia as well. i work at Benton Foundry. Please call me someday to compare notes. 570-925-6711. I was hoping that you had a copy of the letters from Thomas Delany and Sister Mary Anne that are in your article. I’ve looked on Ancestry and can’t seem to find the file. It would be amazing to have a copy of the handwritten letters, so that we can use them in our app, Willing Hearts, which is about the Sisters of the Holy Cross (CSC). Sister Mary Anne (CSC) was a member of their order. I would love to also give a copy of that letter to the archives at their Motherhouse, Saint Mary’s. I just spent a half hour writing a detailed reply regarding my Irish-born, Irish-speaking great-grandfather, James J. Haggerty (1835-1894) who emigrated to Schuylkill County (Honey Brook/McAdoo) in 1856 and worked there as a miner until he died, having been active in the WBA and the AOH, along with his brothers Hugh and Connell/Cornelius Haggerty. They emigrated to PA via Scotland (Dalmellington, Ayrishire), where they also worked as miners. Thought the Scotland route might be of interest, given your research. I think my reply was dropped because this site gives no indication of a need to log in BEFORE writing a reply. No time to re-do it. Frustrating. Any way this could be remedied? I am sorry you had that problem, it is the first time I have come across it. It is a standard wordpress commenting feature so I don’t control it, but I will check it out to see what the situation is. Your great-grandfather sounds like a fascinating individual- have you got his pension records etc.? It is fascinating about his Irish, has that survived through family history? I would love to here more about him- my email is irishamericancivilwar@gmail.com if you want to drop me a line.